Here are a few photos from last year's high school girls' basketball jamboree at La Salle Prep in Milwaukie. The host Falcons mostly ran circles around Ridgeview and Franklin during two 12-minute scrimmages, beating the Ravens 28-9 and the Quakers 41-15. 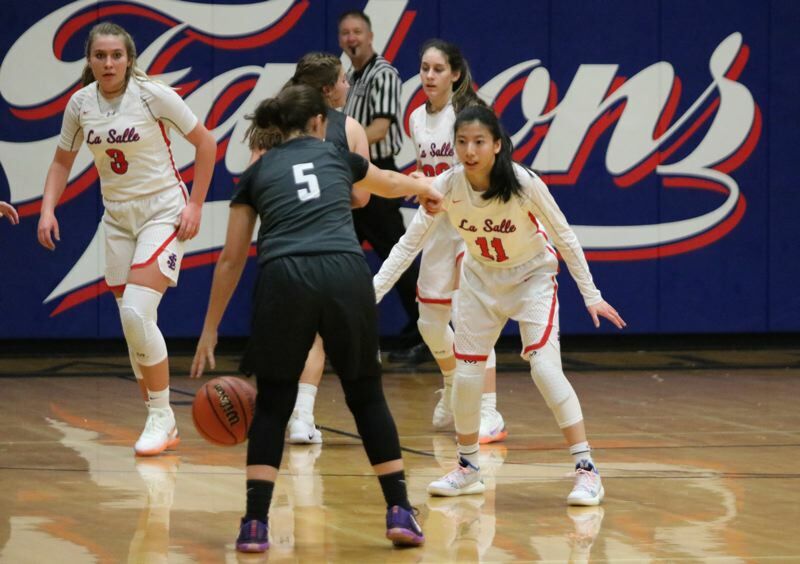 La Salle Prep is carrying only nine players on its varsity roster, including two players -- junior forward/guard Lindsay Brango and senior forward Jessica Loboy -- who sat out the jamboree with injuries. The Falcons are scheduled to open the regular season tonight on the road against Crescent Valley, and then return Saturday to face Springfield.